In addition to our suite of solutions to measure the behavior of your site's visitors, it is also possible to use UTM codes (Urchin Tracking Module) with Google Analytics. UTM codes (or tags) are URLs customized to be used primarily as a Google Analytics tracking tool. These URLs identify the flow of traffic to your story, capturing information on how and from where your audience visits (e.g. a social network, newsletter, or an email). 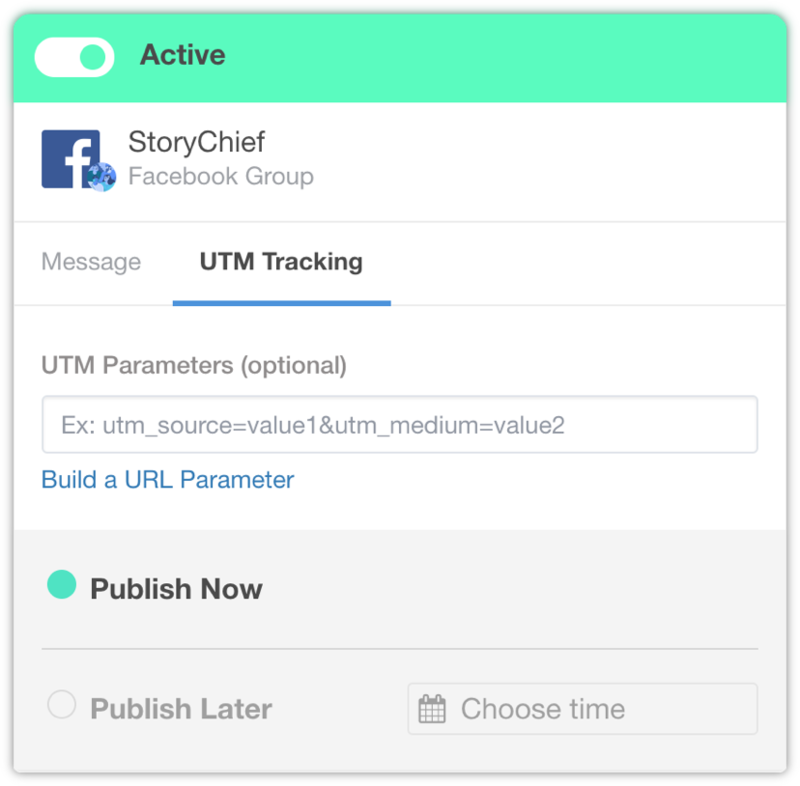 You can add your UTM codes in the UTM tracking tab of a channel when you publish a story. Campaign Source (Required). This code specifies where your traffic is coming from. It is populated for you automatically, but you can customize it according to your needs. 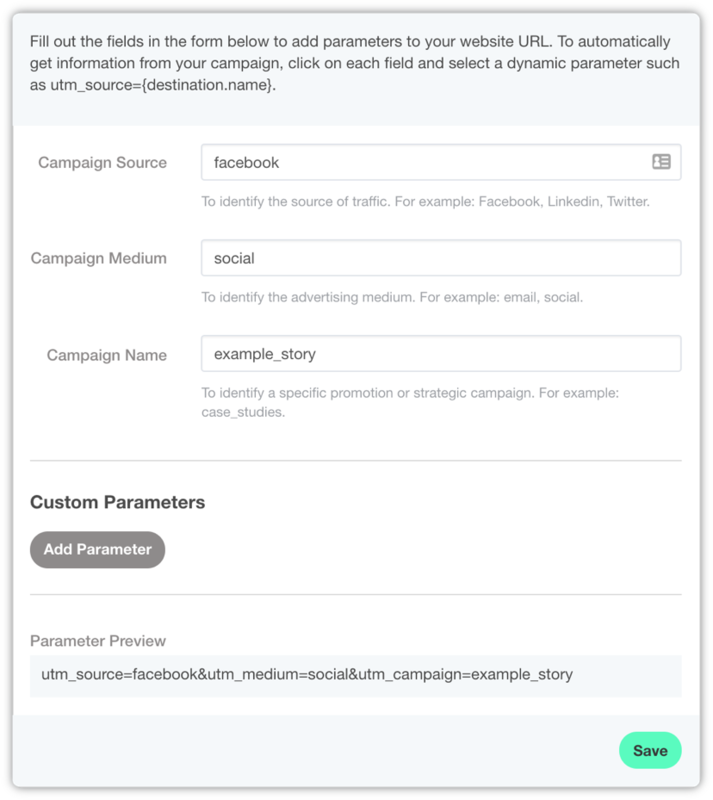 Campaign Medium: (Optional). This field specifies how the traffic is being delivered. Campaign Name: (Optional). This allows you to add a description that you and your team can use for Google Analytics campaign tracking. Need help creating the perfect parameter? Use our generator to get it setup for you. You are now well on your way to tracking your UTM variables through Google Analytics (or Adobe Analytics, Kissmetrics, etc.). Note: Do you also publish on your free StoryChief blog? Add a Google Analytics ID here.